Working as a freelancer gives you a great freedom, but up until recently, you were still tied to your office or home computer. With the rapid spread of the wireless Internet and the launch of mobile devices such as iPhones, iPads, and iPod Touch, this has changed and now you can work sitting in your favorite coffee shop or from any spot in the World, as long there is an Internet connection. Listed below are 50 apps, which can help you stay in touch with your clients, send invoices, track your earnings, and on conduct business on the go. Available in 12 different languages and allows you to keep track on your to do lists while on the go. 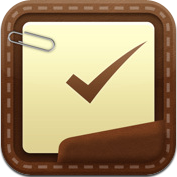 Has won an award for best productivity app and it is an ideal task organizer. It can store projects, dates, persons’ details, places and it can help you keep shopping lists, to do lists, and other items at your fingertips. Can help you manage projects, to do notes, and due dates, allows you to schedule different tasks, and it can sync wirelessly with its desktop version as well. A Google calendar client, which you can use on your mobile devices. It allows you to drag and drop events, add new events, and easily navigate between days. Additional futures like search, SMS reminders, invitations, repeating events, and offline management, make Calendars one of the best productivity apps. Tasks Done in Style has won the best productivity app award in 2010 and now on version 2.6, it offers multi-device sync, background sync, task scheduling, voice notes, and more. 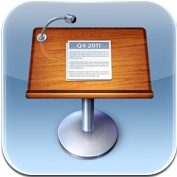 Developed for iPad, iPhone, and iPod touch, Numbers lets you make spreadsheets, using tables, photos, and charts easily. With 16 built-in templates, intelligent keyboard, more than 250 functions, and various work sharing features, this is a definite must-have. 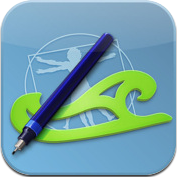 One of the few apps, developed for mobile devices, which can help you edit, create, and save documents on the go. An excellent presentation app, which you can use to display presentations right on your iPad or on a projector that your iPad is connected to. Another presentation tool, which allows you to use different slide masters, animations, style options, and fonts in your presentations. An app, which can help you showcase your portfolio anywhere you go. Works with images, videos, and pdf files, and is ideal for designers or other freelancers, which want to be able to organize and present their portfolios to clients. Artists, photographers, and other freelancers can use this app for their presentations. Works with Elance.com, Odesk.com, Freelancer.com, Vworker.com, and Scriptlance.com and can help you find work and bid for jobs, no matter where you are. With this app, you can access freelancer.com from your mobile devices, browse the posted jobs, run embedded searches, get feedback, and email yourself the jobs that you are interested in. Create invoices and quotes, send overdue reminders, use logos, localized currencies, and formatting, use products and service categories, and make use of the built-in HTML and invoice templates with this excellent tool. Use this app to create invoices, reports, and bills. PDF Invoice & Time Sheet: the app has user-friendly interface, comes with built-in templates, allows you to back-up and restore data, has easy search option, and has countless other features that many freelancers would find useful. App for FreshBooks offers clients, invoice, estimate, and expense management on the go. 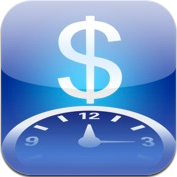 Can help you track how much time you are spending on your tasks. 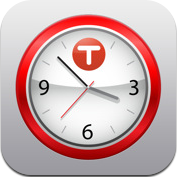 Another time management app, which is very simple and easy to use. 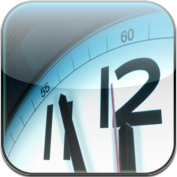 Ideal for independent consultants, contractors, attorneys, and freelancers that bill their clients by the hour, this app works with simple time tracking, sessions, multiple running times, time rounding, billing rates, and more. Is ideal for managers and freelancers, who need to add and manage clients and projects on their mobile devices. 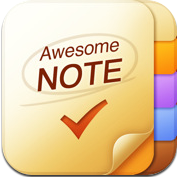 If you wish to fill out a time sheet, track billable time, or calculate billable amounts easily, then this is a must-have app. Time Tracking is a powerful and versatile application, which works with sessions, backups, scheduling, different currencies, and it is available in English, Spanish, and German. The app works with tasks and subtasks and allows you to manage your own time or track employees’ time. Can help you track your activities, works with multiple accounts, has simple interface, and it is capable of printing the reports in CSV and HTML format. Keep start and end times, use a stopwatch, sync with your online account, and edit and review your timesheets with this app. Ideal for teams and freelancers, and it tracks time spent on projects. A powerful and versatile app, which can help you track your time, mileage, expenses, projected income, profits and more. Some of the features that Tick comes with are instant budget feedback, timer, and browsing of current entries. An excellent iPhone database tool, which can help you track and plan events, manage projects and tasks, and organize customers and contacts, plan meetings, and more. Lets you create and edit databases on your iPhone and is ideal for freelancers, who want to store passwords, lists, to-dos, mileage, and lists. 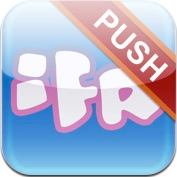 Is another excellent database manager that you can use on the go. Use this app to create and populate database tables with expenses, to-dos, journals, sales information, time records, collections, and lists easily. Comes with 25 form templates, which can store up to 17 different fields. You can use this application to keep your daily journals, numbers, customer details, memberships, serial numbers, and important dates. Lets you use your iPhone and iPod Touch with your Windows or Mac computer, and view various files on the go. 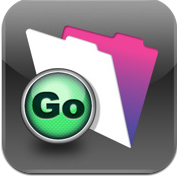 A file manager, voice recorder, document viewer, and text editor all in one, which works with iPhone, iPad, and iPod Touch. 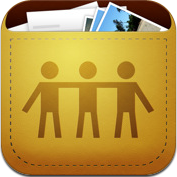 A mobile app, which allows you to store, print, share, and view documents, recordings, and spreadsheets. An excellent application, which many designers will find invaluable. It can calculate color schemes, preview color schemes, save them for later use, and email their CSS code. Perfect for designers and developers that work with fonts and type. It contains more than 60 pages of type related history and facts, as well as guide on how to set and use various text properties. A scaled down version of the award winning application Intaglio. You can use this app to draw freehand, geometric shapes, as well as cut, copy, and paste graphics. A great paint and drawing application, which works in full screen, has multi-touch navigation, and other excellent features. Can help you find the perfect color scheme in no time. Use this application to gain remote access to your office or home computer. 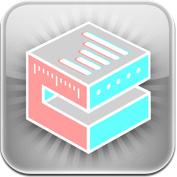 iTeleport works with Mac or Windows computers, supports SSH encryption, and VGA out. Gives you full control over your PayPal account from anywhere in the World. You can use the app to check your balance, withdraw your funds, send money as gifts, and even manage fundraising campaigns. Allows you or your company to accept payments on mobile devices. 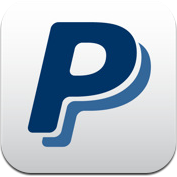 PayPal Manager: this is a powerful mobile PayPal manager, which offers some advanced features that allow you to search and sort out transactions, send money, and to take full control over your PayPal account. A vector drawing application for iPad, which supports basic flowcharts, common networking shapes, icons, callouts, balloon, and works with most image types. 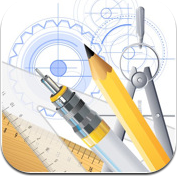 A vector drawing tool for iPad and iPhone / iPod Touch, which works with shapes, edit points, advanced path editing, standard board sizes, multiple layers, groups shapes, and more. Can help you generate and experiment with different CSS3 styles, create web kit animations, and create and edit HTML templates. What are your must-have apps for freelancing? Please share with us in the comments.